OPEN HOUSE SUNDAY 2-4PM (22ND). Now with a $50,000 price reduction for a quick sale!! now priced under $135/sq ft!! 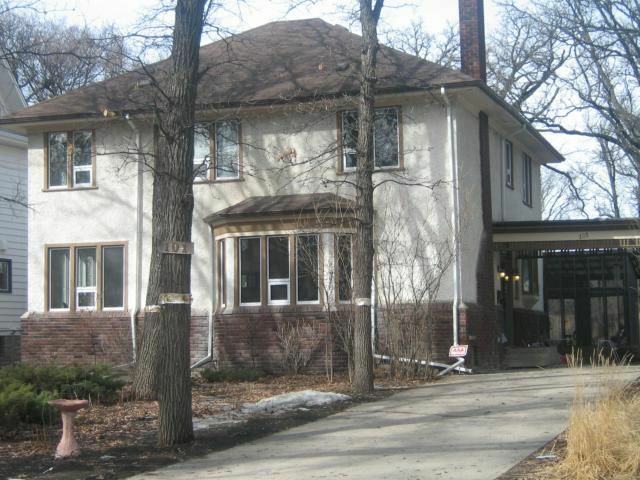 Truly a wonderful character home in old River Heights with the original oak trim and floors, glass door knobs, oak staircase etc., but with modern upgrades as well such as the 3 bathrooms and kitchen, some wiring and windows, sump pump and more. Over 3300+ sq feet, 5 Bedrooms, 4 Baths, 2 fireplaces, full Basement, mainfloor bathroom, nice natural light, second floor central air, screened in porch with hardwood floors, bay windows and more!. In sight of both Kelvin Highschool and St. Mary's. Around the corner from peanut park and wellington crescent. Biking or even walking distance to downtown Truly a lovely home in a lovely area. Crescentwood/River heights listing expert/specialist!